It seems everyone wants to get in on the smartwatch and fitness tracker game. The latest to enter this saturated market is the successful GPS maker, TomTom. A surprising move by them, but something even more surprising is the lack of a feature you might expect to be the first thing to be put in the fitness band. That’s right, there is no internal GPS, and what is more, it can’t even use your phone’s own GPS. The fitness tracker is known as the TomTom Touch Fitness Tracker and was announced at IFA 2016, in Berlin. Apart from the GPS lacking, the rest is not too bad, the Touch has the obvious step tracking and sleep analysis, with 24/7 heart rate monitoring. The interesting and unusual feature though is a body composition analysis. The composition analysis is really quite clever, you simply place your finger on the front sensor, and then the tracker puts out a current, that will return to the sensor on the back of the tracker. Don't worry, you will not feel anything. The returned signal is then analyzed by the tracker, which can tell the body ratio of muscle to fat. Using the MySports app you will be able to track how your body changes over time. This is the first time something of this nature has been done on a fitness tracker and creates a unique selling point. People who are looking to lose weight may find this feature useful as it may be a lot more meaningful than other data. You are literally going to see if the fat is disappearing or not. The actual design of the fitness tracker is nice, and not too bulky. You can swap out the band to match your style. The tracker is not waterproof, so do not take it into the pool, but splashing water on it should be fine. A sports mode will track the time, calories burnt and your heart rate, for activities including running, cycling and gym workouts. Automatic sleep monitoring and detection is there. All of this will come to the price of £130, about $170. This is a good price considering the HR monitor and the innovative body composition feature, which no other fitness tracker has included before. 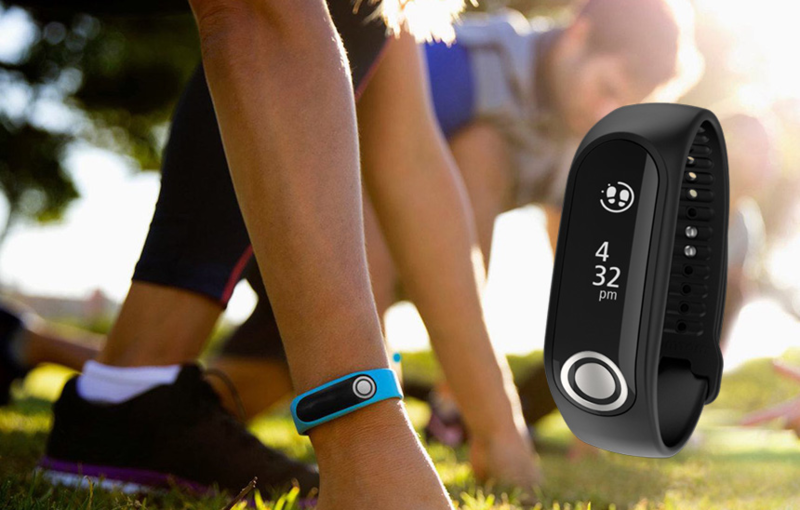 TomTom Touch will launch in October, so keep an eye out for TomTom’s first fitness tracker.